A car show has always been affiliated with this airshow since the 1970's when friends and family members began flying and driving to the Ochs family farm. Each year we welcome back entries that have been returning for years, in addition to newcomers who are registering for the first time. 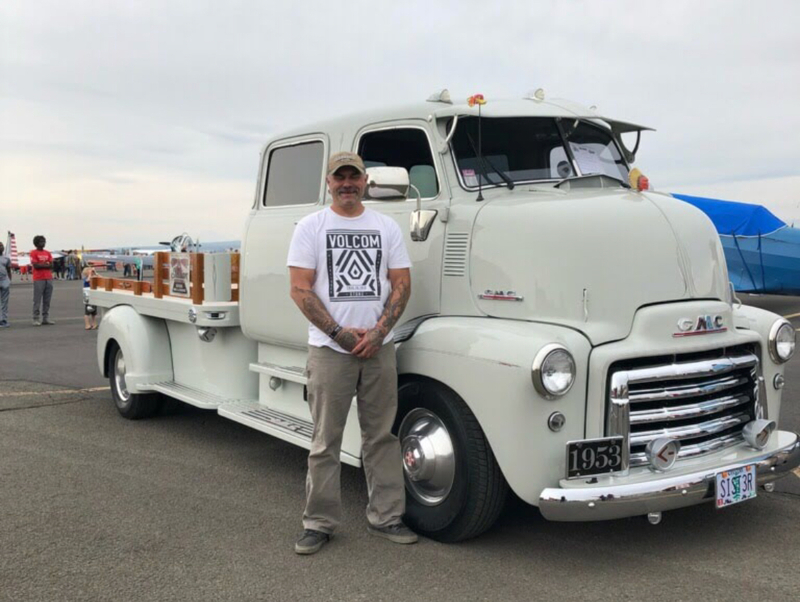 In either case, the Car Show goes hand in hand with the Airshow of the Cascades and offers our patrons another exciting activity to enjoy as a part of their Airshow experience. The car show is FREE to our patrons. If you have a vehicle you would like to show, our 2019 Car Show registration is open now! The Airshow of the Cascades car show offers participants a unique opportunity to ​enjoy a bountiful buffet of machines on site, which include cars, motorcycles, vintage aircraft and, of course,thrilling aerobatic performances all weekend long. Top it off with live music each day,and a terrific fireworks show on Friday night and a wide variety of food vendors and souvenirs for you to sample. Its more than just a car show! Save 20% if you register by June 30, 2019 ​by using ​Promo Code "​​earlybird"
A commemorative dash placard for participation! Participants must provide proof of insurance at the gate. * After the gates open, pedestrians will be on site. If you're ready to register, please use our online Registration Form.